Honda has unveiled two new models, Mobilio multi-purpose vehicle and an all new Jazz hatchback, at the 12th Auto Expo. The Mobilio which is a multi-purpose vehicle is the third vehicle after Amaze to be based on Honda’s popular hatchback Brio’s platform. It has three rows of seats and can seat seven people. It is set to lock horns with the likes of the Maruti Ertiga, Chevrolet Enjoy and Mahindra Xylo and is likely to be priced competitively between Rs 8 lakh and 10 lakh. 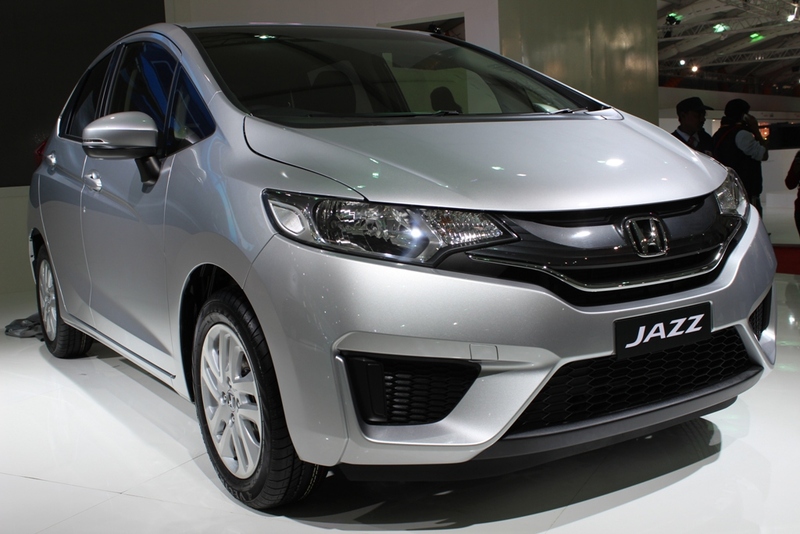 The new Honda Jazz compact crossover has been finally showcased at the 2014 Auto Expo, which made its debut in November 2013 in Japan. The crossover is based on Honda’s new global design philosophy – EXCITING H DESIGN!! !, which, according to the company, is to make their cars ‘High Tech, High Touch and High Tension’. The hexagonal grille with a bold Honda logo, front wind screen with a pair of intermittent wipers, headlight with mat and silver chromed lamps, rear view mirrors, sporty spoiler, extended side wings like sections, tail lamp cluster, a rear micro antenna and mounted stop lamp give the Jazz an entirely new look. 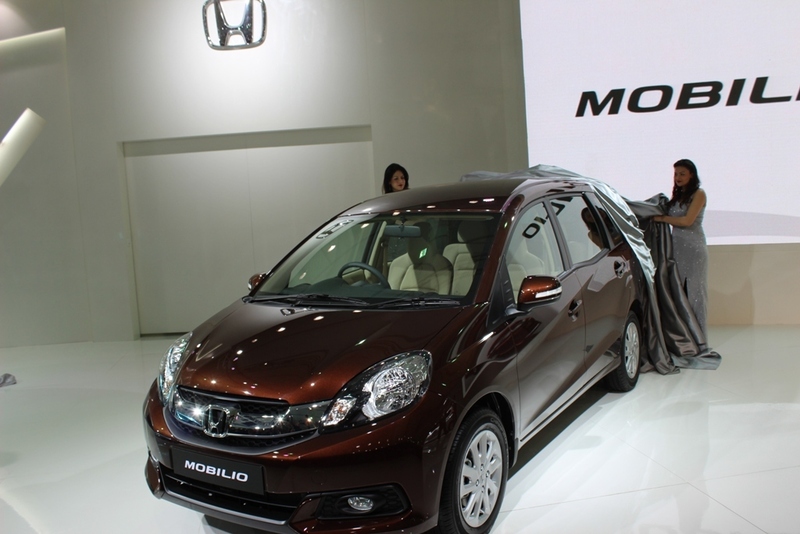 For India, Honda will launch the Mobilio this year (next fiscal year). The MPV will be available with a petrol and a diesel engine. While the petrol motor could be the Honda City’s 1.5-liter i-VTEC which puts out 119 PS and 145 Nm of torque, the diesel motor will be the 1.5-liter i-DTEC which produces 100 PS and 200 Nm of torque. While the diesel will come with a manual transmission, the petrol could be offered in a CVT apart from a 5-speed manual gearbox. Top-end variants of the MPV will feature dual front airbags, ABS, alloy wheels, steering integrated controls, rear wash/wipe and defogger as standard.